Celebrate the gaiety of this remarkably vigorous pink bitone. 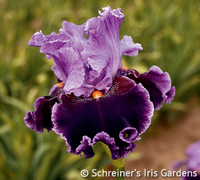 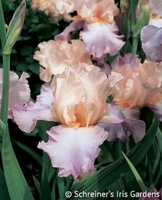 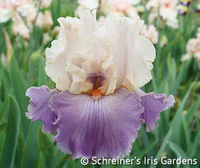 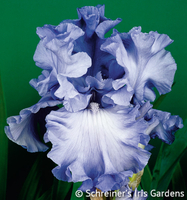 Its zesty apricot-pink standards nicely complement the ruffled blue-lavender falls. 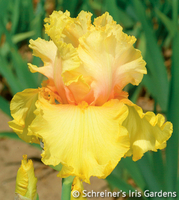 Celebration Song produces strong stems with three to four branches and 9-12 buds.